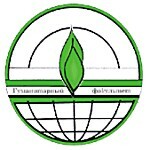 University, one of the oldest Institutions of higher education in the field of geodesy, cartography and other, was given the status of Technical University in 1993 (was founded in 1779). In spite of its age University is in permanent process of development and adaption to demands of modern society. Moscow State University for Geodesy and Cartography to train specialists of high qualification, to promote postgraduate studies, as well as additional training and courses for improving qualification for researchers, instructors and other specialists. Economic and Land Management Faculty prepare specialists in the field of Urban Cadastre, Economic and Land Management, State and Municipal Management. Faculty was founded in 1996. Dean of the Faculty is Professor Vladimir Golubev. The Rector of the University is Prof. Dr. Victor P. Savinykh, Member of International Academy of Astronautics, Pilot-cosmonaut. This page is maintained by the FIG Office. Last revised on 2010-11-05.